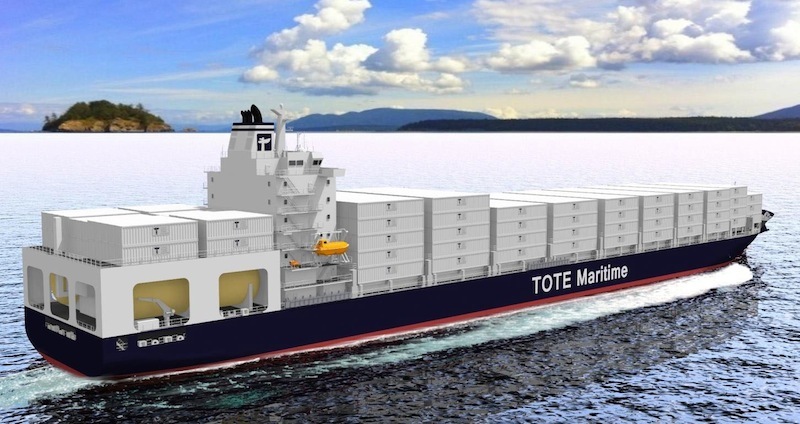 JANUARY 6, 2015 — WesPac Midstream LLC and Pivotal LNG, Inc. (Pivotal LNG), a wholly owned subsidiary of AGL Resources Inc. (NYSE: GAS) say they have now signed a long-term agreement with TOTE, Inc. to provide liquefied natural gas (LNG) to fuel the two new dual fuel containerships expected to be delivered to TOTE by shipbuilder NASSCO in late 2015 and early 2016. The agreement follows the signing of a Letter of Intent by the parties in February 2013. The ships will operate between Jacksonville, FL, and San Juan, Puerto Rico and Pivotal LNG and WesPac are constructing a new natural gas liquefaction facility in Jacksonville. The land has been purchased, the engineering and permitting process is advancing, and the new Jacksonville LNG facility is expected to be operational in mid-2016. The Jacksonville site provides the capability to add additional natural gas liquefaction and LNG storage capacity in the future in order to supply other customers in Jacksonville and regional markets.